The better 13-inch Pro? The MacBook Pro 13 Touch Bar is Apple's new 13-inch flagship model. Besides the obvious OLED display above the keyboard, however, there are more differences compared to the entry-level model with function keys. Is it worth the $300 premium? As you'll have seen in our long-term review on the first page, battery life inconsistencies might be a problem, but equally might not affect you at all. At worst you're looking at a six-hour machine. With such great processing performance, I think it's an acceptable, if slightly annoying compromise, but not everyone will agree. To say the new MacBook Pro is a massive improvement over the previous model would be an understatement. It's more portable and more powerful, not to mention more enjoyable to use. But it's tough to justify the premium for that Touch Bar, no matter how cool it is. Despite the pangs of loss for SD card slots and traditional USB, these are without question the most refined, high-end laptops that I’ve ever used. If you can stomach the increased prices and single-minded connectivity, and you just so happen to be sold on the macOS way of doing things, then there’s simply nothing to touch them. And even if you’re a die-hard Windows fan, don’t be afraid – the new MacBook Pros might be just the change you’ve been waiting for. Apple’s back with a bang. The MacBook Pro with Touch Bar comes close to computing perfection. 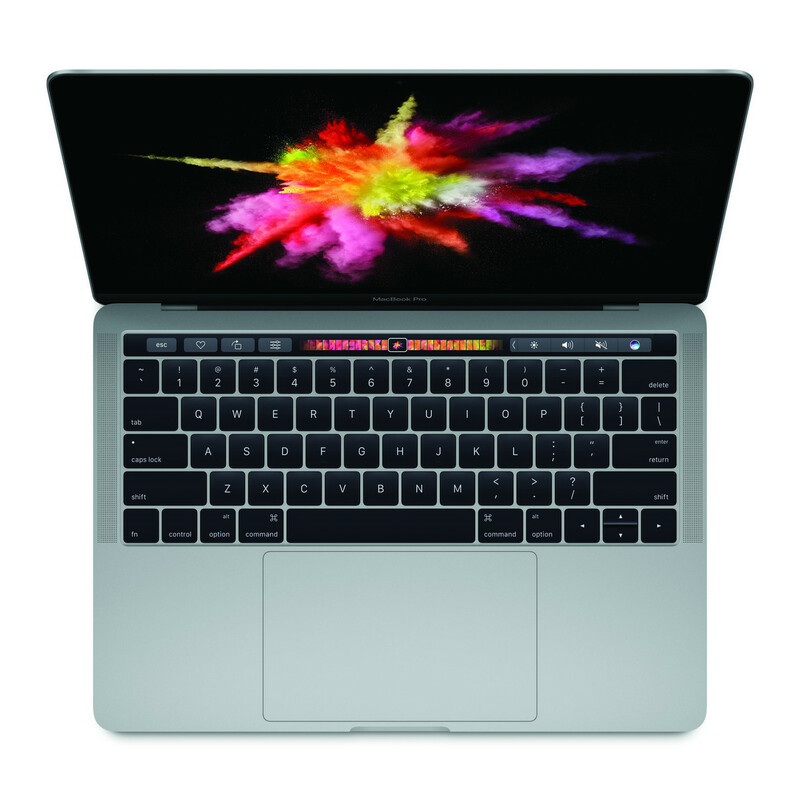 Built for professionals and enthusiast, the Apple Macbook Pro 13-inch with touch bar does hit all the right cords when it comes to the performance, sound, battery and the (not-so-gimmicky) touch bar. The design is very Apple, yet modern. Yes, it did give us a hard time when we wanted to connect USB drives to it and we had to scramble to find a hub. Then there is the price, which is on the (very-very) high side. This one costs a whopping Rs 1,72,900. Well, if the price wasn't as exorbitant and premium as this we wouldn't call it Apple, would we? MacBook Pro Touch Bar vs MacBook Pro: Should I buy a Touch Bar MacBook Pro 2016? You want the Touch Bar MacBook Pro. We do, everyone does. But if you want a MacBook Pro this year, the decision is less simple, and weirdly so. At £1,449, the base MacBook Pro isn’t a by definition ‘cheap’ alternative, it is merely ‘cheaper’. If you want cutting edge Apple tech and Touch Bar apps, there is one obvious but expensive choice. You’ll love it though. Either way, in the coming years Apple will inevitably enhance this laptop just like it does all of its products. When that happens — when it gets new chips and longer battery life, and when there are thousands of apps that integrate with the Touch Bar — the MacBook Pro will be a better choice. The Apple MacBook Pro is undoubtedly the most powerful computing device you can rest on your laps, you will get used to the TouchBar and the lack of more traditional ports. There aren’t many other laptops that excel at so many different aspects. There are changes to the keyboard beyond the Touch Bar. The keys now coming with a new butterfly mechanism. It does feel different compared to my MacBook Air. The response is different, and I’m not sure it’s so in a good way. The keys seem to hit a flat at the end of its travel, and send a small kick up the fingers, which will take some getting used to. Meanwhile, the trackpad has become really big and easy to work with. This large trackpad has been incorporated to let users easily drag stuff from one end of the screen to the other. See, Microsoft, you don’t always need a touchscreen. The things that make the new MacBook Pro appealing are the things that casual users looking for a family PC might like; a pretty screen, good speakers, snappy overall performance, and a design that’s thinner and lighter than the previous MacBook Pro. In short, Apple made a slightly better MacBook … and a worse MacBook Pro. The 13in MacBook Pro could be a wonderful computer, but it isn’t. Is it great to use? Absolutely, it’s brilliant, it’s beautiful, it’s almost everything Apple said it was, I absolutely love it … until it runs out of battery. Or you have to dig out yet another dongle to use a sodding USB flash drive, or a card reader, or attach a display. Or you realise that you spent a month’s mortgage money on a computer and are having your house repossessed. Much like with its iPhone range, Apple has gradually stripped laptop design down to its elemental form. The latest MacBook Pro has jettisoned everything that doesn't absolutely need to be there and, with the slight exception of the Touch Bar, hasn't added anything new. All that, plus the same amazing build, screen, keyboard and touchpad as the base model and you have, quite simply, the best laptop on the planet right now. It doesn’t get the full five stars because I still have concerns about the awkward Thunderbolt decisions Apple has made – but make no mistake, this is the best laptop I’ve used this year. The new 13-inch MacBook Pro with Touch Bar is available now, starting at $1,800 for this model that has a Core i5 processor, 256 GB storage and 8 GB RAM. We’re disappointed with Apple’s vision of cutting-edge computing. With the new MacBook Pro, Apple has ignored the best features offered by its competitors, while also introducing a Touch Bar of questionable use. The MacBook Pro 13 with Touch Bar is a great Mac – but it’s no longer a great laptop. Comfortably the best choice if you want quality, performance and portability in one, and it’s even decent value as Apple products go. It might become really useful in the future, too, but it’s not there yet. When that day comes, this version of the MacBook Pro could become the pick of the range, but for now we’d recommend going entry-level - or taking a look at the big daddy 15in model. MacBook Pro with Touch Bar review: A touch of brilliance or totally brainless? The new 13-inch MacBooks — even the base model without the Touch Bar — are costly. And they may make pro users unhappy. But, for everyday Mac lovers — users of the Air or maybe the older low-end Pro — they are now your only thin, modern option with a full-fledged processor. The Touch Bar has potential, but it’s not magic. The battery isn’t likely to deliver on Apple’s claims. You can’t count on liking the keyboard. But, if you’re a Mac devotee ready to move past the Air — not back to a lower-powered MacBook — this is what Apple is offering. Take it or leave it. The new MacBook Pro is a terrific laptop and, like the super-skinny MacBook, a clear indication of where most of the computing world is going. But comes with growing pains while your workflow and other devices adjust to a new way of doing things. I can eke another nine months or so out of my old Pro before springing for the upgrade. You probably can too. But we all need to start getting ready for the one-port, no-wires, un-repairable future now, because it’s coming. For the Mac faithful: Should you upgrade from an older MacBook Pro? Yes, provided you're willing to move from USB 3.0 and Thunderbolt 2 devices to USB-C–Thunderbolt 3. If you have a 2014 or 2015 MacBook Air or MacBook Pro, you should probably hold off, unless you really, really want the Touch Bar. The benefits of the new processor and screen alone aren't worth the trouble of getting used to the new keyboard and USB-C interface. If you're considering the base-level MacBook Pro, we think it's worth the extra $300 for this model, for its faster processor and the Touch Bar's potential utility. And if you need a larger screen, the 15-inch MacBook Pro might be the right choice, since it delivers more memory, a powerful Core i7 processor, and discrete AMD Radeon graphics, but it will cost you at least $2,499. The 13-inch MacBook Pro with Touch Bar offers a fresh way to interact with apps, as well as more ports and speed than the base model, but the experience doesn't yet justify the premium. The 13-inch MacBook Pro is the best-designed laptop in the world, without question. But this base-spec model is unbalanced: it costs too much for how fast it is compared to the competition and it has too few ports. Apple will be hoping the version with Touch Bar is a more attractive proposition. For someone in my shoes, this 13-inch MacBook Pro is preferable to the 12-inch MacBook in Apple’s current lineup, and a solid replacement for my aging 13-inch MacBook Air. Its speed gains over the early 2015 13-inch MacBook Pro are marginal, but the graphics performance is much improved. If this machine isn’t Pro enough to do your best work, the Touch Bar models (especially the 15-inch version) have better specs—or you could try to hold out even longer for next year’s models, which will hopefully have Kaby Lake processors and perhaps 32GB of RAM. With its solid feel, bright bold screen, clean lines, large touch pad, and svelte three-pound frame, Apple's new entry-level MacBook Pro is a very good light laptop. If you've been waiting for a Retina-screen replacement for the 13-inch MacBook Air, it's well worth considering, since a redesign of that laptop seems unlikely, at least anytime soon. In short, from the beautiful design to the updated internals there really is a lot to like -- even without the Touch Bar. I've only had a few days to try out the 13-in. MacBook Pro, but I can already tell that while it may not be revolutionary, it's more than an evolution. The new 13-inch MacBook Pro without Touch Bar costs $1,500 and is available now. Touch Bar models, which we'll review in November, start at $1,800. The new MacBook Pro is an excellent ultraportable with a brighter display, more compact design, and superb battery life, but it's not the fastest. One of the biggest pain points of relying on the Apple TV as your sole entertainment console (which I do) is trying to decide what to watch and in what app to watch it. Unboxing MacBook Pro – Confusão ou revolução? Positive: Smart Touch Bar; fast fingerprint sensor; excellent display. Negative: High price. Positive: Good hardware; nice screen; excellent display; smart Touch bar. Negative: No card reader; high price. Positive: Solid workmanship; nice display; decent speakers. Negative: Relatively high price. Positive: Impressive Touch Bar; excellent display; long battery life. Negative: High price. Positive: Compact size; solid workmanship; fast system; comfortable keyboard; excellent screen; good speakers; smart Touch Bar. Negative: High price; low autonomy. Positive: Slim size and lightweight; excellent screen; very high autonomy. Negative: No memory card slot; no optical drive; few ports.